It’s the bold interiors idea that will have families wanting to replicate it next time they get the reno rumbles. It’s not a lick of paint or new light fittings, no no. It’s something much more fun – a kitchen slide. The house, billed as The Family Playground, is in Kaohsiung City, Taiwan and has an emphasis on helping the family spend more time together. The architects, from HAO Design, say they made a creative playground for the Stone family. “People today have such busy lifestyles that time spent together with other family members has become more precious than ever,” the architects say. 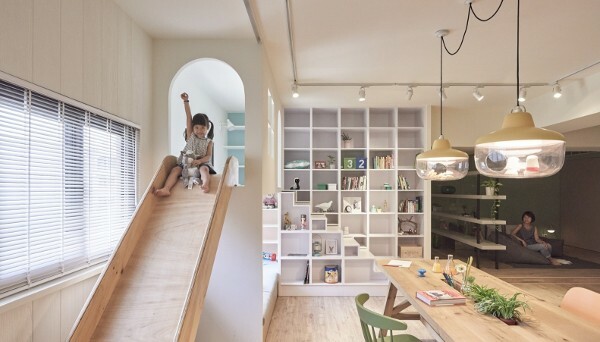 The slide in the home is their little girl’s own special space. “The moveable slide…can be disassembled and reassembled easily; this means that, when the slide is not needed, it can be taken apart and put away, increasing the amount of space available,” say the architects. 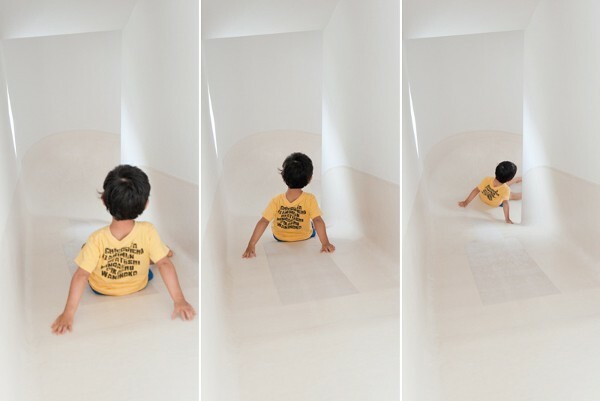 The indoor slide is a concept that seems to be taking off, with a house in Tokyo, Japan, incorporating a slide connecting all three floors. The Level Architects design was a match for their clients, who wanted a house that would remain in the memories of their three children forever. It reminds us of a previous Babyology post on the colourful, carnival-like Rainbow House in London, which has a rainbow staircase, an internal curly slide and floors patterned with huge yellow and black daisies. It’s every child’s dream.